kanda poha recipe | maharashtrian poha recipe | kanda pohe recipe with detailed photo and video recipe. an authentic and traditional western indian breakfast recipe made with beaten rice. it is a simple and healthy meal recipe, which can be made within minutes and can be served for any occasion. 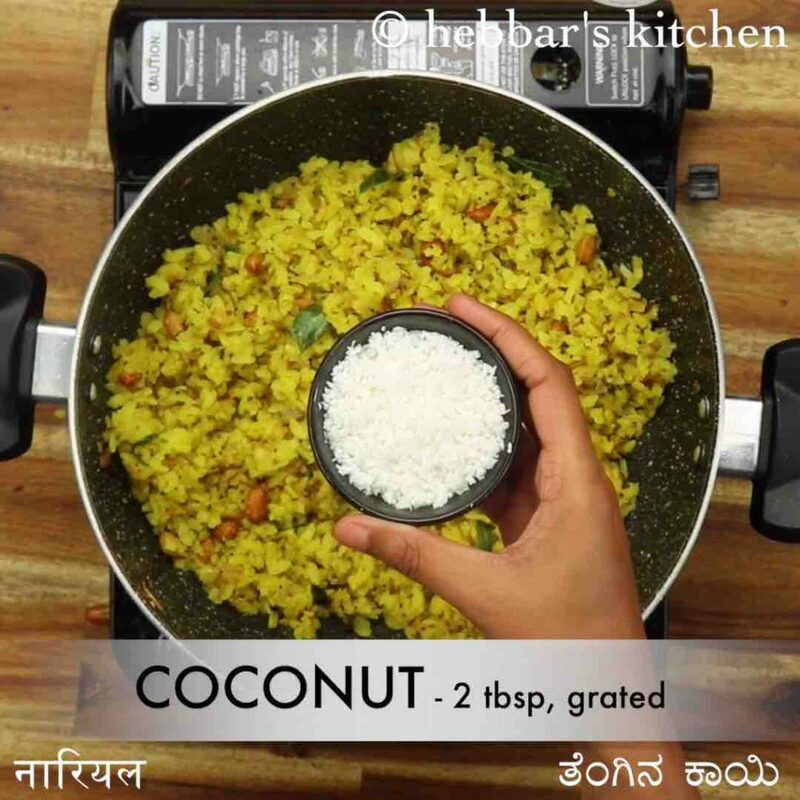 it is generally served as it is but tastes better when topped with fresh coconut or even with a combination of farsan or mixture. kanda poha recipe | maharashtrian poha recipe | kanda pohe recipe with step by step photo and video recipe. poha or pohe recipe is very common across india and is made for various reasons. however in western india, particularly in maharashtra it is made as breakfast or even as an evening snack. 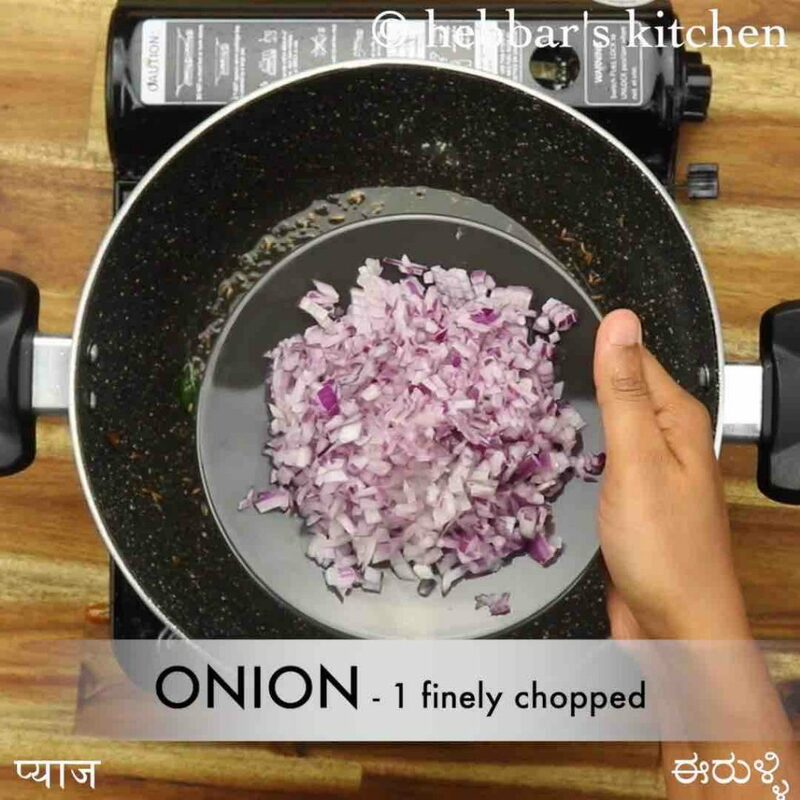 even in maharashtra there are myriad versions of it and one of the popular version is kanda poha made with onions and beaten rice. as i mentioned previously, there are hundreds or thousands of poha variety across india. 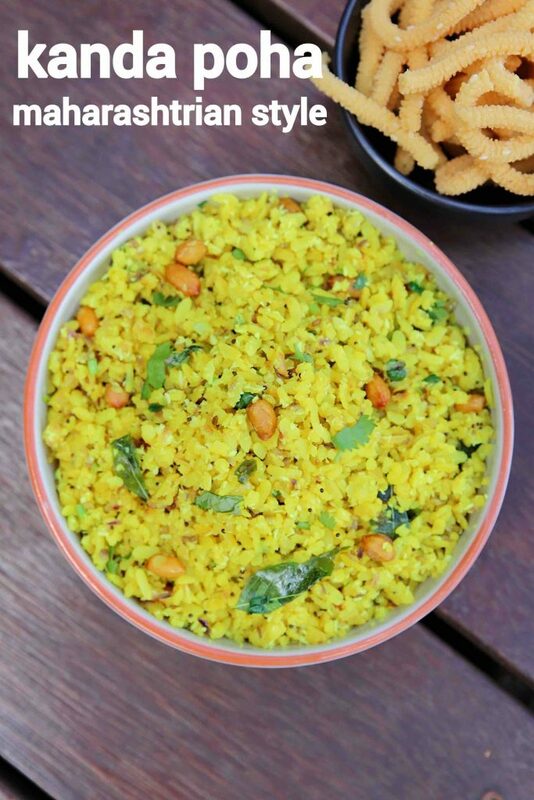 the recent post i had published is the chura matar from the north india which is again made with poha. it is also known as north indian pohe recipe made with green peas. and then there is another variety back in my state of karnataka. we call it as huli avalakki or khara avalakki. basically, it has fewer vegetables and more of spices with beaten rice. 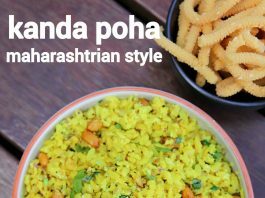 finally, the other popular variant is the poha chivda which is served as a snack. you can make it with either thin and thick poha and i have shared both the variations in my blog. 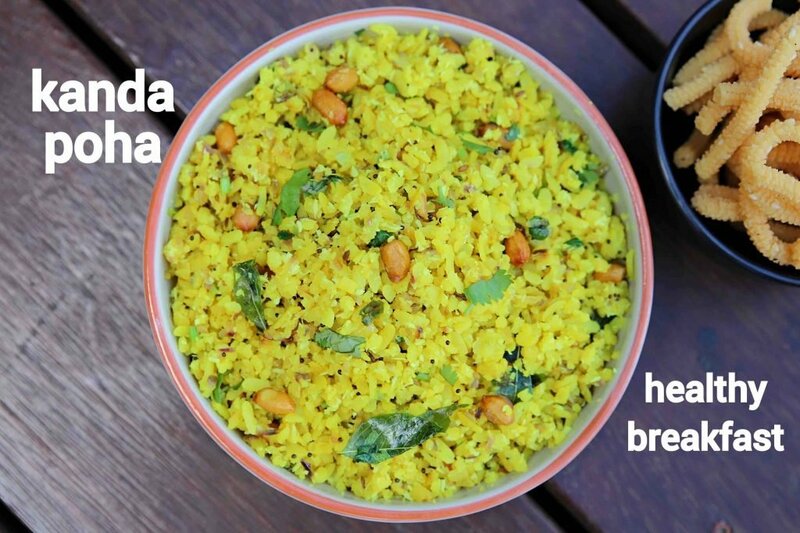 my personal favourite is thin poha chivda but both of the recipes are equally good. 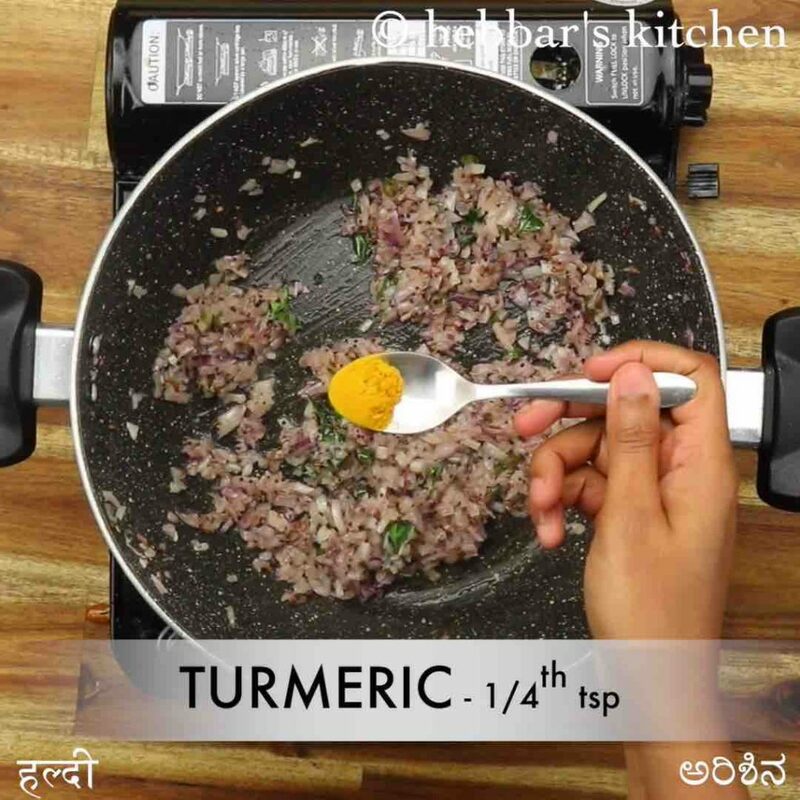 furthermore, some easy, critical and important tips and suggestions for a perfect kanda poha recipe or maharashtrian poha recipe. firstly, and importantly you have to use thick poha for this dish. 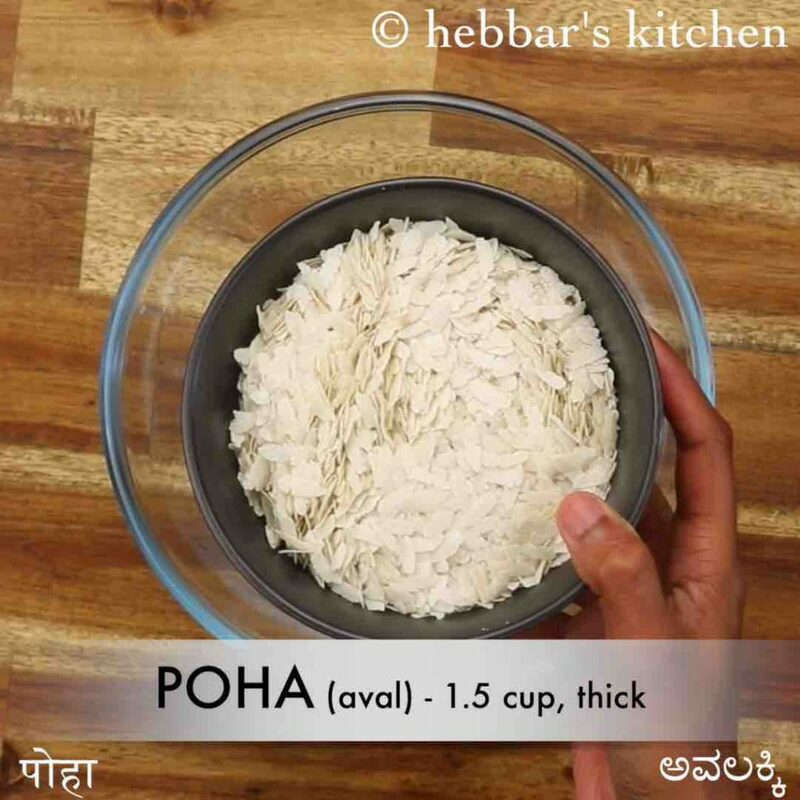 there are many types of poha which depends upon its thickness and you would need a thick poha for this recipe. secondly, i would heavily recommend using the finely chopped red onions for this recipe. you can use other onions types like white or brown, but red onions are recommended. 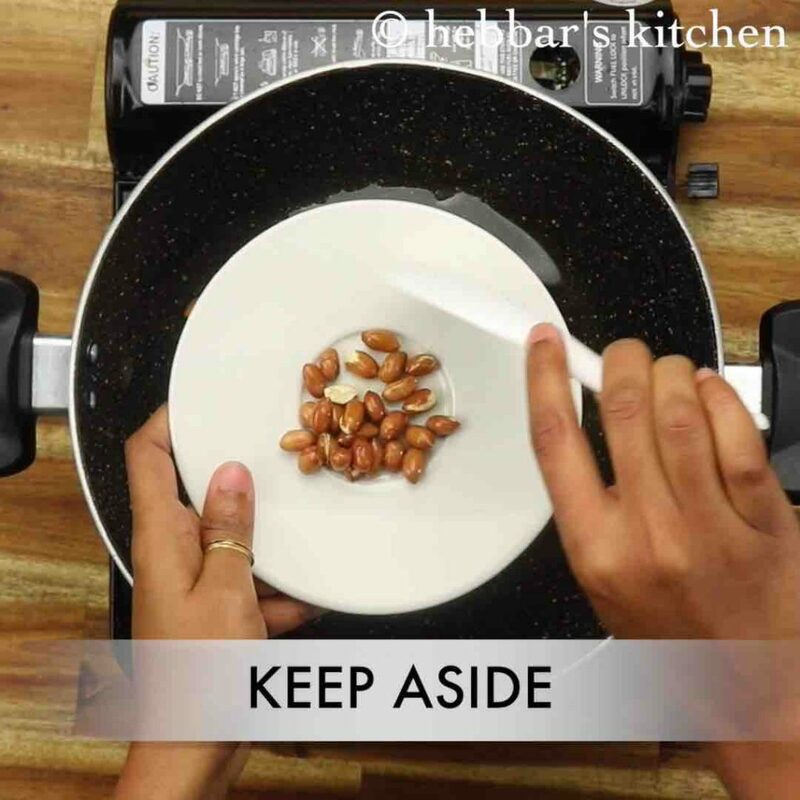 lastly, you may have to serve it immediately once it is prepared. it turns out to be dry and tasteless once it cools down. 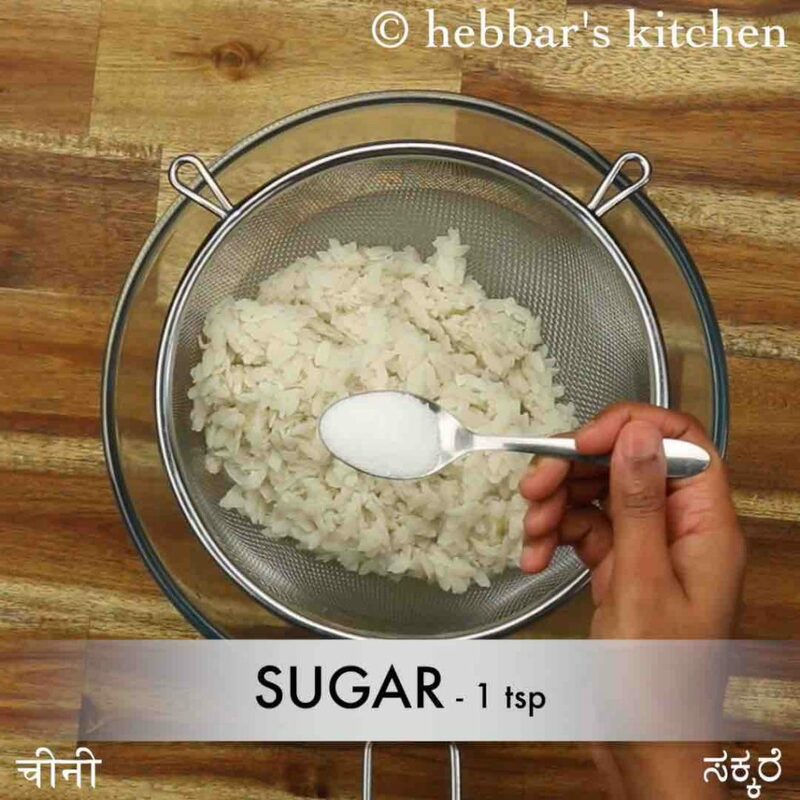 firstly, add 1 tsp sugar and ¾ tsp salt on soaked poha and mix gently. 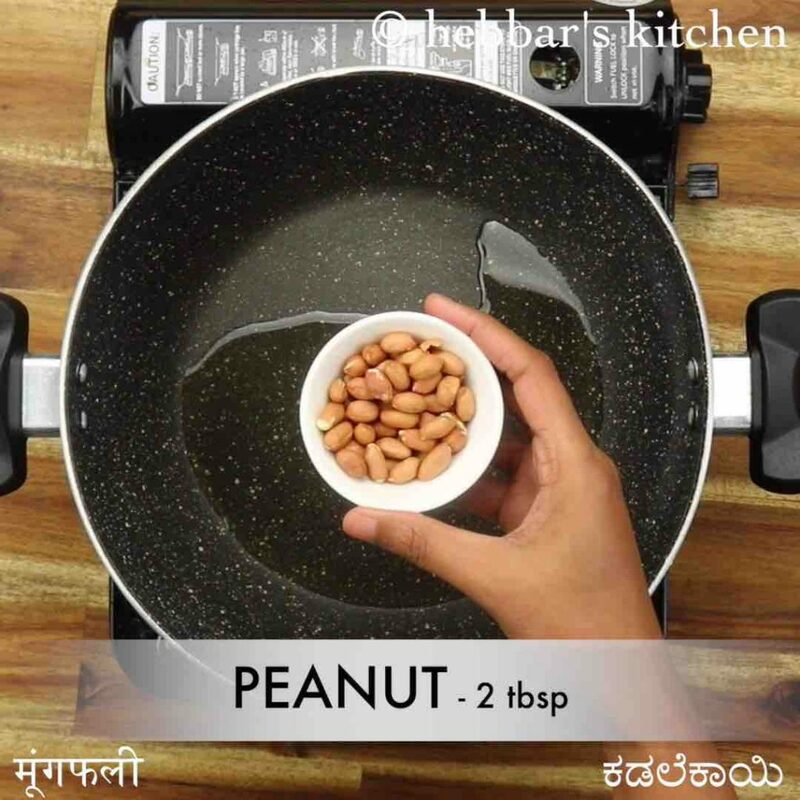 in a large kadai heat 2 tbsp oil and roast 2 tbsp peanuts on low flame. roast until the peanuts turn crunchy. keep aside. 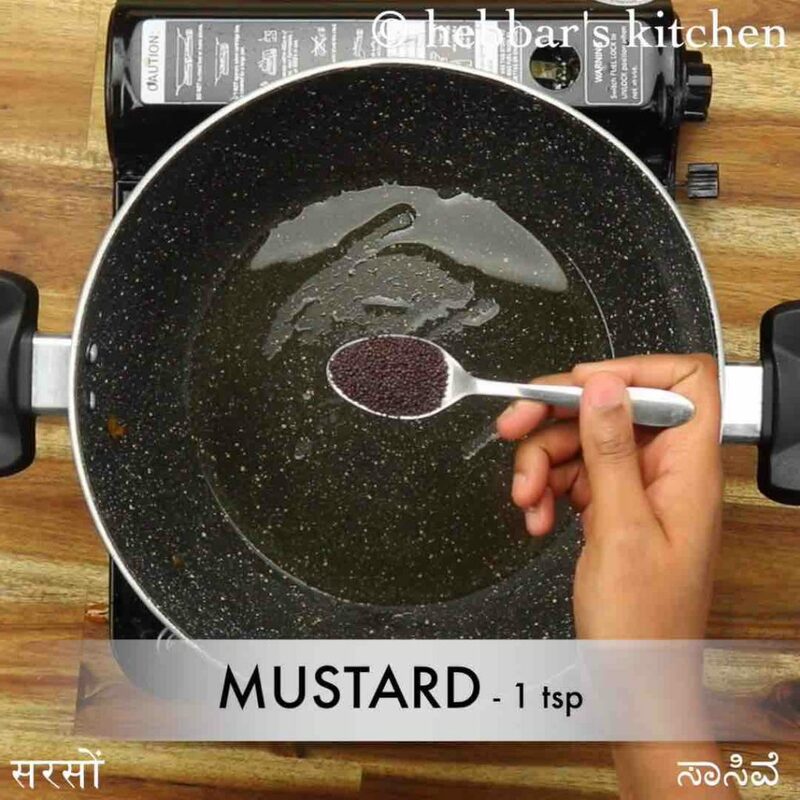 in the same oil, splutter 1 tsp mustard, 1 tsp cumin, pinch hing and few curry leaves. further add 1 onion, 2 chilli and saute well. saute until onions shrink slightly without browning. further, add ¼ tsp turmeric and saute well. add in soaked poha and mix gently until everything is combined well. 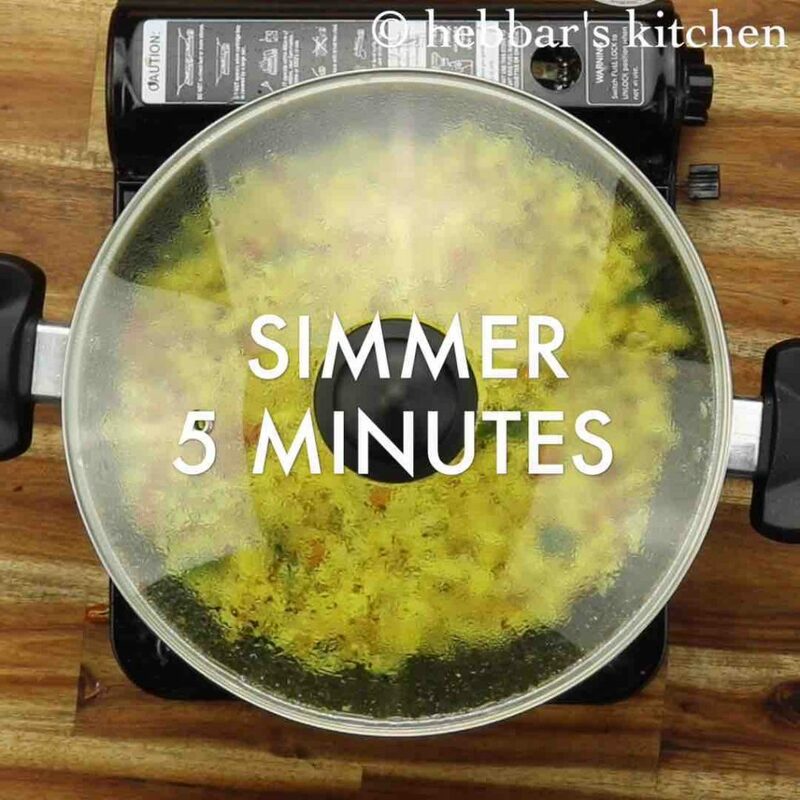 cover and simmer for 5 minutes or until the flavours are absorbed well. also add 2 tbsp coconut, 2 tbsp coriander and 2 tsp lemon juice. mix gently. finally, enjoy kanda poha topped with some sev. firstly, in a large mixing bowl take 1½ cup poha. 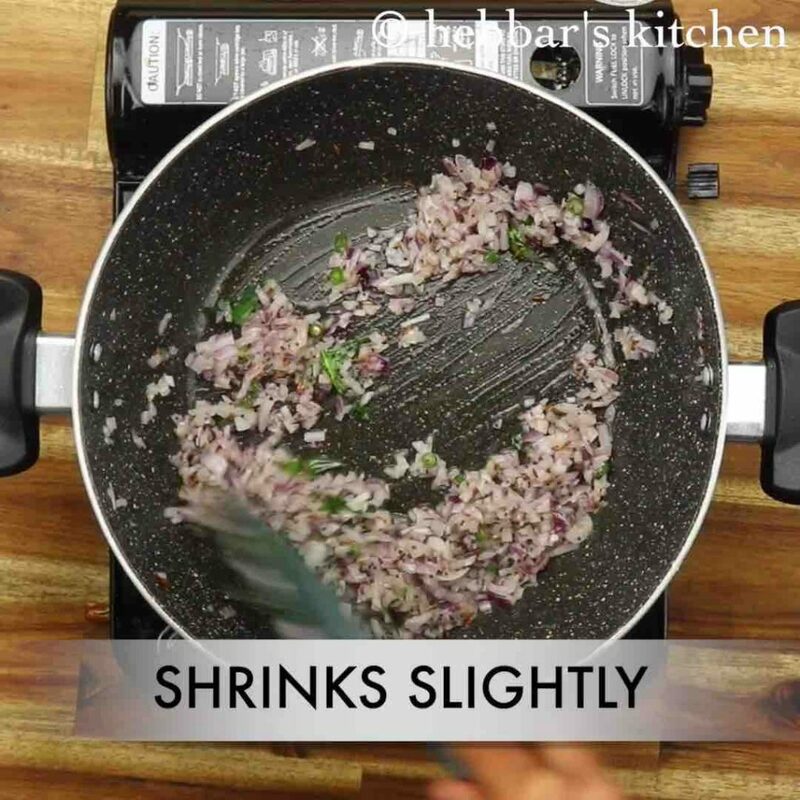 use thick poha else just rinse the poha if it is medium thickness. 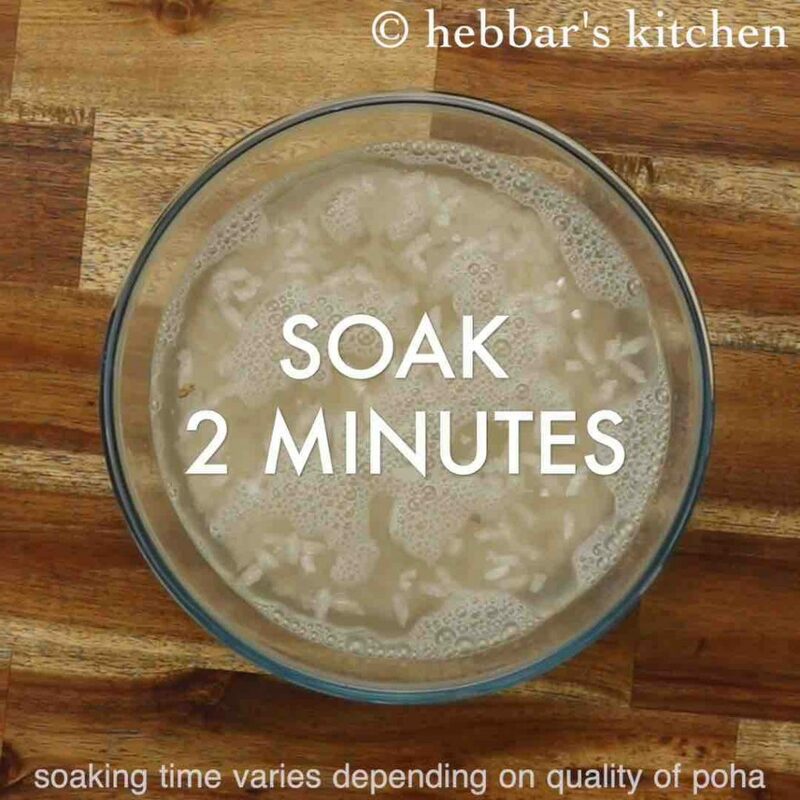 pour water and soak for 2 minutes or until it softens. 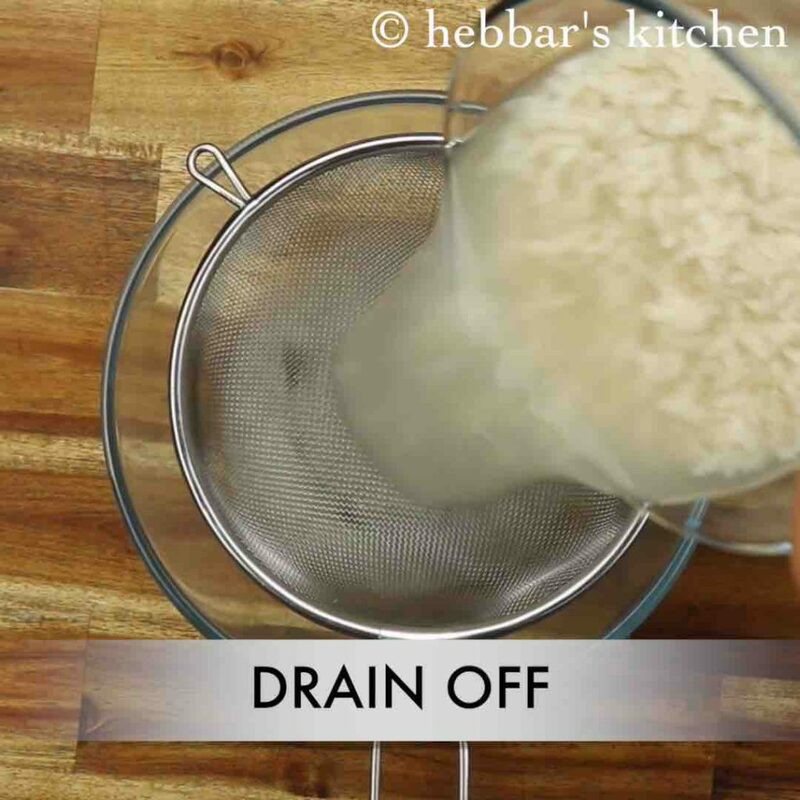 drain off the water, make sure the poha doesn’t turn mushy. now add 1 tsp sugar and ¾ tsp salt. mix gently. 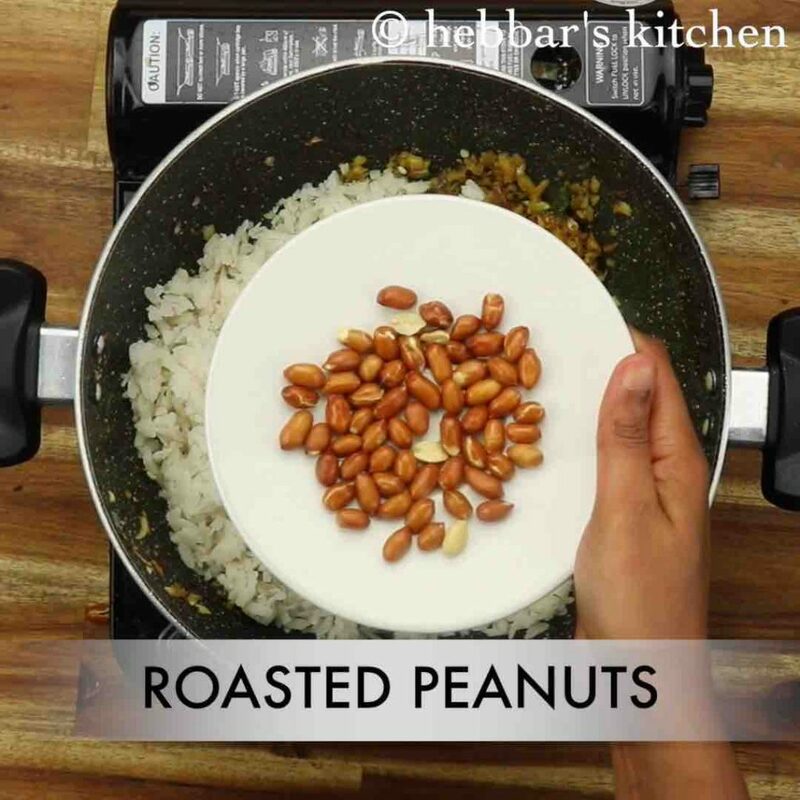 add in soaked poha, roasted peanuts and mix gently until everything is combined well. firstly, finely chop onions and saute well until they shrink in size. also, add aloo or mixed vegetables for variation in poha. additionally, adding coconut is optional. however, it enhances the flavour of poha. finally, maharashtrian style kanda poha recipe tastes great when it is not soggy and mushy.